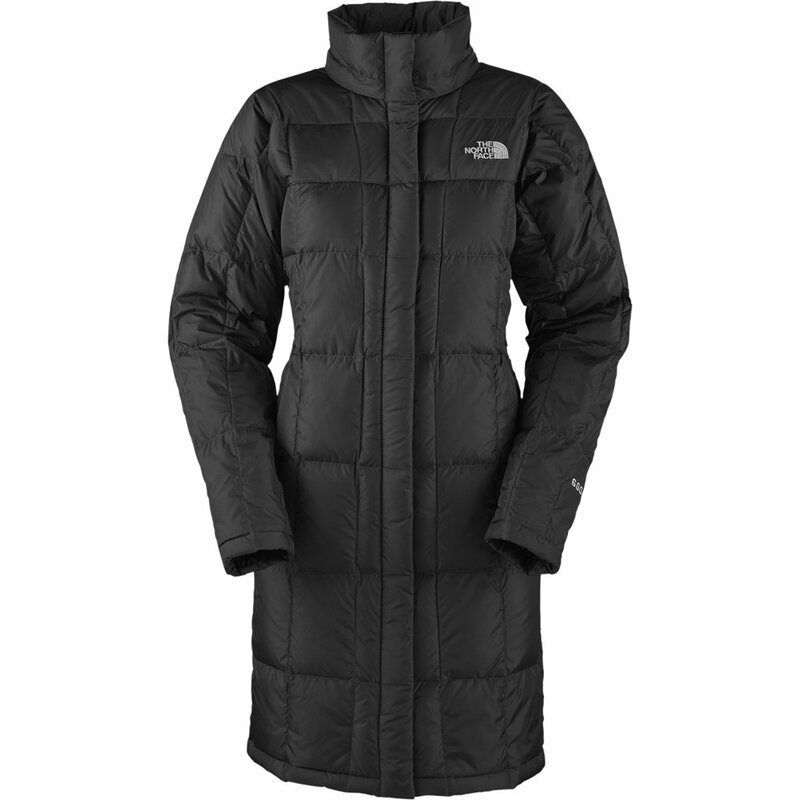 Warm winter jacket for women from The North Face. 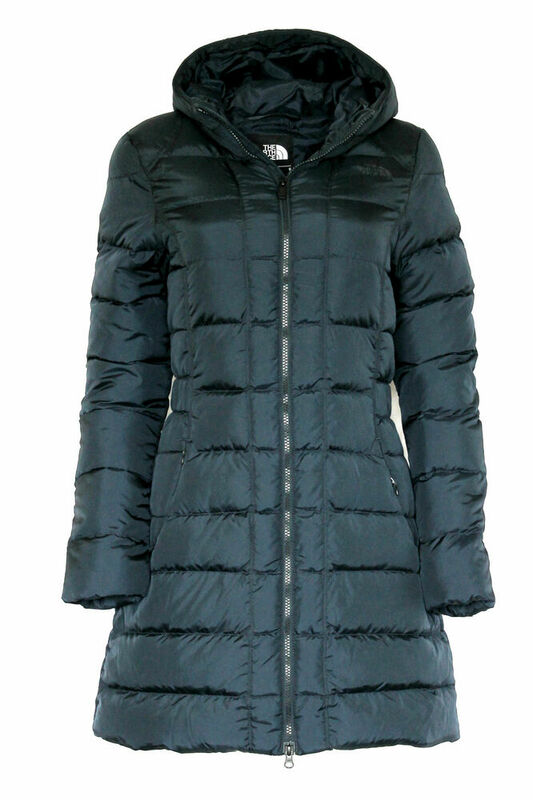 The jacket is made with a 2-way zipper in the front, so it is possible to close slightly up from below, so that freedom of movement is not being limited by the long jacket. This is especially useful when you must ride a bike in the jacket. 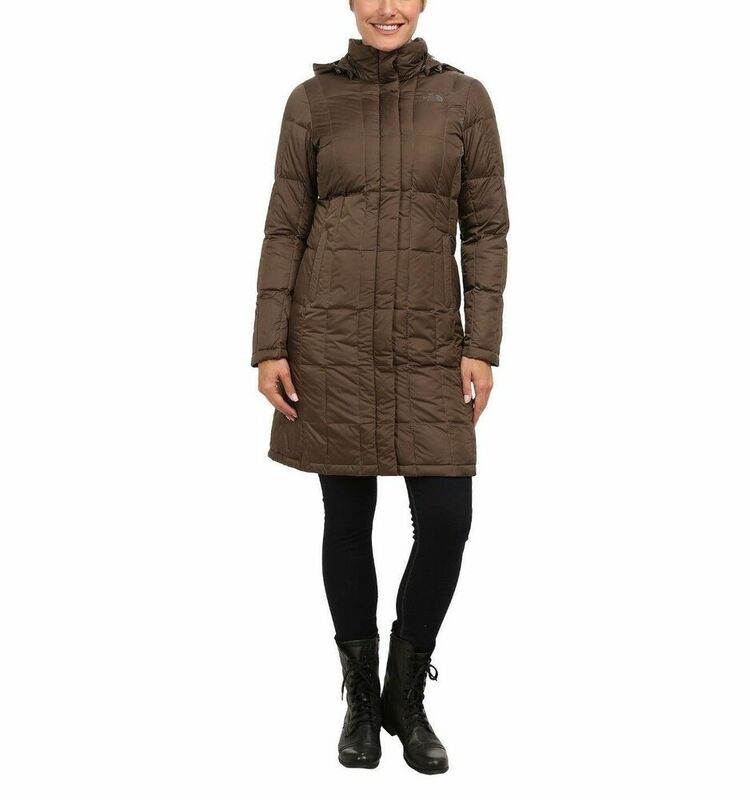 The outer material is made of 100% Nylon Taffeta with a water-repellent DWR treatment that provides an effective protection against the winter weather. The lining is made of 100% recycled Polyester Taffeta. Inside the jacket there is a strong lining with a Fill Power 600. 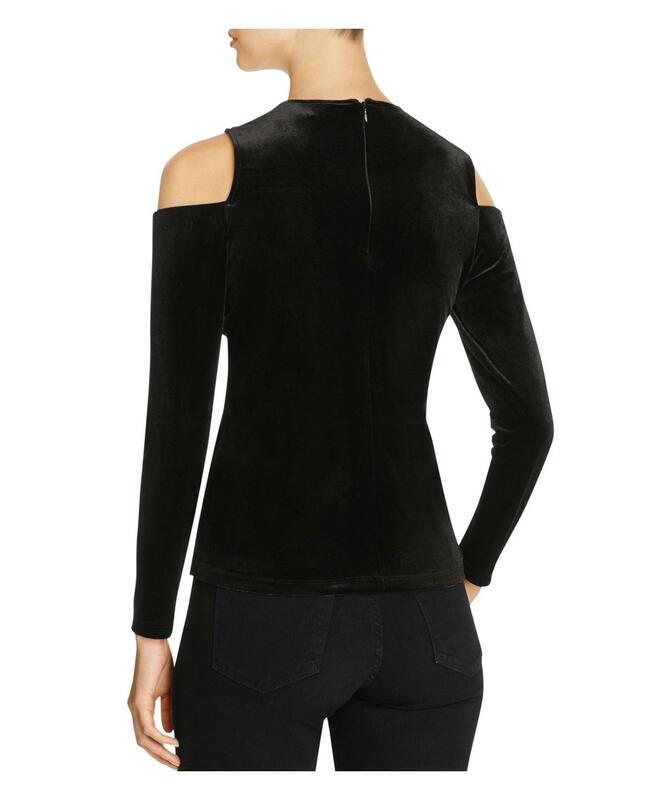 It is possible to remove the CAP when not in use, and in the collar sits a soft layer of fleece that helps with comfort. 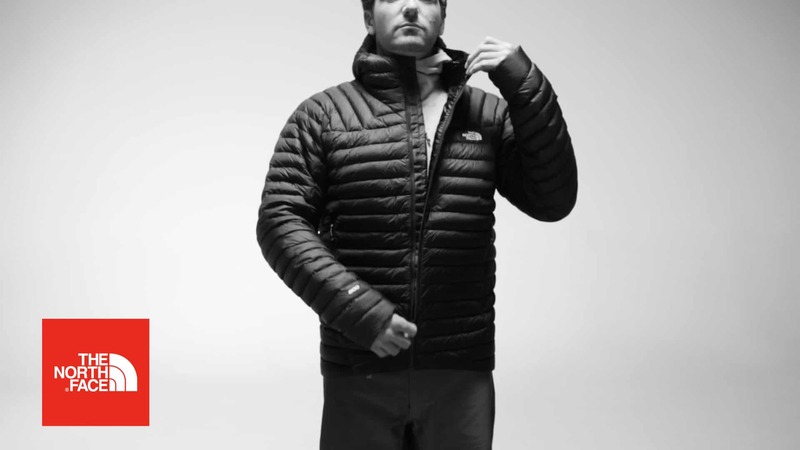 On the chest and on the back of one shoulder, sits a small embroidered The North Face logo. There are 2 spacious side pockets for URf.eks. to warm your hands in, as well as an internal media pocket with room for, among other things, telephone, as well as with a hole where it is possible to pull the earphone or similar through. 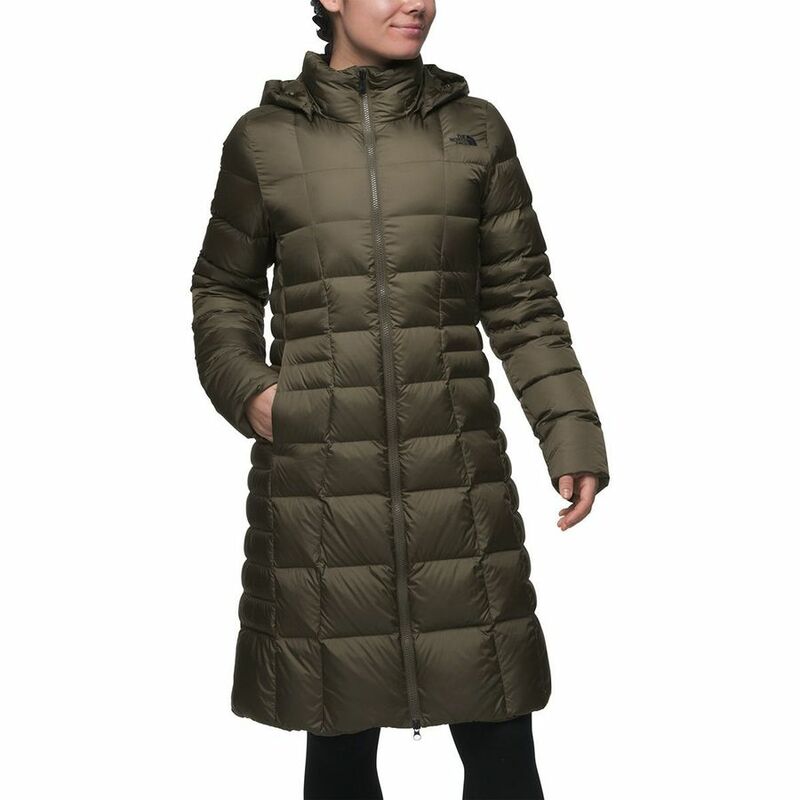 At this page, they delivery you parkas in plus size.